Taking a stance has paid off. 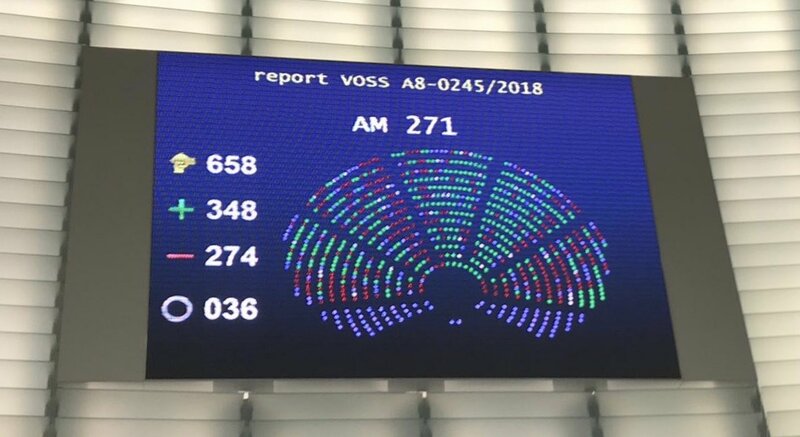 Earlier this week, the European parliament voted through important changes to copyright, amid intense negative PR. Our negotiating position will be reinforced when working with larger platforms like YouTube, who will need to fix the existing value gap by taking out licences. If they don’t, they will have to make best efforts to keep notified content off their platform. Small start-ups under a certain threshold will benefit from a lighter regime. Wikipedia, eBay, GitHub, Tinder, all not-for profit services and many other sites are not touched. Platforms can’t use measures for general monitoring or surveillance. Freedom of expression of creators and citizens is enshrined in the text. Memes, gifs and other posts for parody, caricature, pastiche, criticism or review are specifically safeguarded. We will need to ensure that the new rules are applied reasonably. Be warned that some platforms may try and block content they shouldn’t. Member states will have two years to update their national law. New provisions on remuneration and contracts for performers and authors will also be implemented. Speaking up made a huge difference and it was not easy to do in today’s climate. Thank you - we should be ready to do it again!